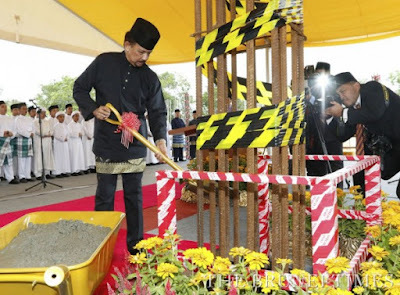 HIS Majesty Sultan Haji Hassanal Bolkiah Mu’izzaddin Waddaulah, Sultan and Yang Di-Pertuan of Brunei Darussalam laid the foundation for the construction of the new Sultan Haji Hassanal Bolkiah Islamic Exhibition Gallery (BPIS) at Jalan Pengiran Babu Raja yesterday. Costing around $120 million, the building will be able to house nine galleries with 29 themes compared to old temporary venue in the State Mufti’s Office where it can only house four themed exhibitions. The building, which will also serve to become one of the country’s landmarks, is slated to be completed by March 2017. Accompanying His Majesty were His Royal Highness Prince Haji Al-Muhtadee Billah, Crown Prince and Senior Minister at the Prime Minister’s Office and His Royal Highness Prince Hj Jefri Bolkiah as well as His Royal Highness Prince ‘Abdul Malik and His Royal Highness Prince ‘Abdul Wakeel. THE Information Department is urged to be competitive and keep up with the times by maximising on the use of ICT in order to gain public attention. 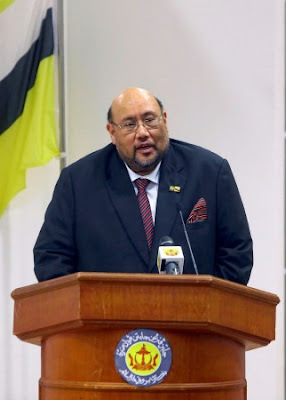 The Permanent Secretary (Media and Cabinet) at the Prime Minister’s Office Hj Mohd Rozan Dato Paduka Hj Mohd Yunos said this at an event celebrating Information Department’s 63rd anniversary yesterday. He urged the Department to keep up with new technologies, adding that this is important in drawing public attention and disseminate information. “Now we are in an era of information technology. 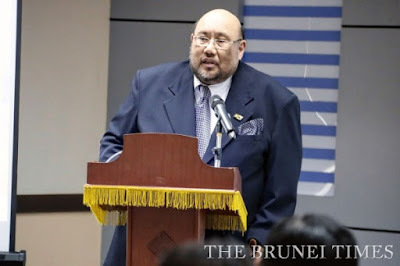 Our society now has many ways of getting information, which is now made easily available with technological advancements,” said Hj Mohd Rozan in his opening remarks. “We realised that people are exposed to information that are accurate as well as information that are exaggerated. This is a big challenge for media organisations globally, and the Information Department is not exempted.